Tuberous Sclerosis Complex (TSC) is a genetic disorder caused by mutations in either the TSC1 or TSC2 genes. The genetic variation results in the growth of non-malignant tumors throughout the body. Neurodevelopmental disorders, including global developmental delay, intellectual disability, and autism spectrum disorder (ASD) are very common in children with TSC, although developmental outcomes can vary widely. Our group, over the past several years, has been studying infants and young children with TSC, and we have found that developmental delays can be identified in the first year of life, and that these delays and differences can predict a diagnosis of ASD. Currently, there is no specific treatment for the neurodevelopmental disorders associated with TSC. Based on this information, we now want to know if early intervention can help to improve development and prevent ASD in children with TSC. 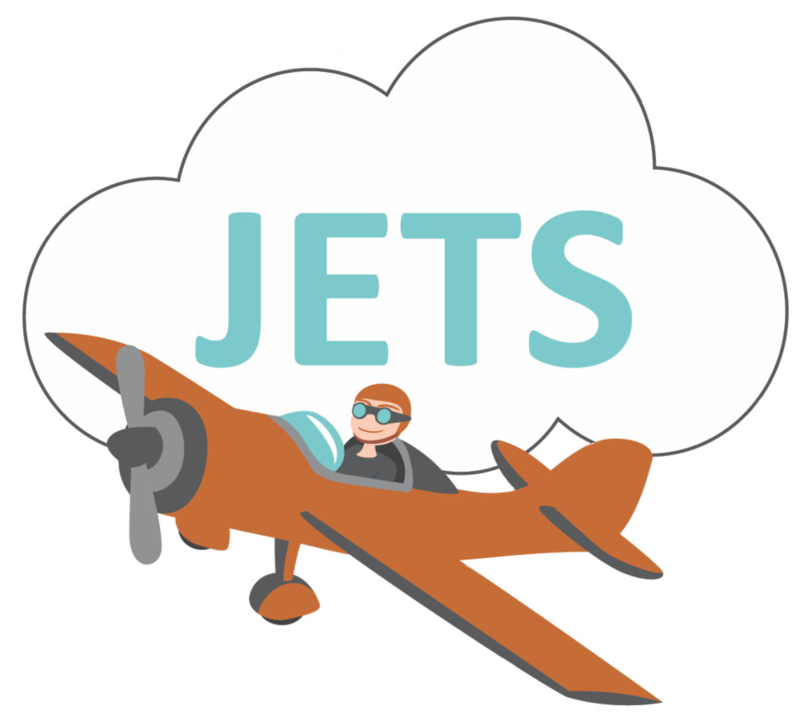 What are we investigating in the JETS study? We are studying the effects of early behavioral intervention on developmental outcomes in infants and toddlers with TSC. We focus on social-communication skills, as these are tightly linked to the development of ASD. The overarching goal of our research is to improve outcomes in infants with TSC by conducting rigorous, innovative research in treatment, using both brain and behavioral measures to study the effects of treatment. How do I participate in JETS? None of this work would be possible without the generous involvement of the families who participate in our study. We are currently recruiting infants and toddlers with TSC to participant in our study. If you have a child between the ages of 12-36 months with a clinical diagnosis of TSC, you may be eligible to participate in this study. If your child is not yet 12 months, you may still begin the enrollment process. If your child is older than 36 months, you may be elligible for a single time-point assessment. Please contact our study coordinators to learn more! We recognize that participants from around the country are interested in participating in our research study! Therefore, we are now conducting our intervention remotely using video conferencing. Participation requires six visits to the research site (UCLA or Boston Children's Hospital) over 15-21 months, with four of these visits occurring over 3 months. Visits will include behavioral assessments, intervention, or both. Because this behavioral intervention is parent-mediated, a primary caregiver must be available to attend these sessions. JASPER behavioral intervention consists of 12 consecutive weekly sessions. Four of these intervention sessions will occur in person, and the remainder will take place remotely using video conferencing. Each week, you will record a video of yourself practicing intervention skills with your child using an iPad (provided for the duration of the intervention). The video will be uploaded for review by an interventionist. You will then receive weekly feedback from the interventionist through video conferencing. Four in-person visits will include a behavioral assessment, and will take place before entry into behavioral intervention, after exiting intervention, and at 3- and 12-month follow up visits. Behavioral assessments generally take up to 4 hours to complete, and are completed over one or two days. This study also uses research EEG. This non-invasive assessment generally takes 30-45 minutes to complete. After your first assessment, your child will be randomly assigned to receive treatment either immediately or in 6 months, with behavioral assessments throughout. Your family will be in the study for a duration of 15-21 months, depending on randomization. If you are not able to commit to this time, please contact our study coordinators to find out if you can still be involved in our research! What are the potential risks and benefits of participation? There are no anticipated risks from this study, although it is possible that your child may react negatively to some of the assessment measures or intervention sessions. For example, at the most extreme, your child may be fearful of an age-appropriate toy and may cry or physically pull back from the toy. If this should occur, that particular toy presentation, assessment or intervention will be stopped. Sometimes the EEG net can feel uncomfortable, especially if children do not like wearing hats or having anything touch their heads. Because of this, we provide you with the demonstration (“practice”) net to use with your child before his/her session. At any time during the session if your child becomes too upset or agitated, we will stop the session. Loss of confidentiality is a risk of participating in this research study. As described below, we will do all that we can to keep your participation in this research study confidential. You may benefit from the intervention by receiving detailed information about your child’s cognitive, language, and communication skills both before the intervention begins and after the intervention is completed. Your child also may benefit from the intervention itself, which is aimed at improving social communication skills in infants and toddlers at high risk for neurodevelopmental disorders. You will receive written feedback on your child’s performance on the behavioral assessments administered during assessment time point 4. These assessments are used for research purposes and therefore are not comprehensive clinical evaluations. Some of the assessments administered will measure social communication skills relevant to Autism Spectrum Disorder (ASD), and the feedback letter will report whether the assessment indicated the possible presence of ASD. The results of the research may also contribute to the broader TSC and autism fields by enhancing our knowledge of the effects of early intervention on social communication skills in TSC. Benefits that you and your child may derive from the intervention may lead to greater benefits for all children with autism and/or TSC.